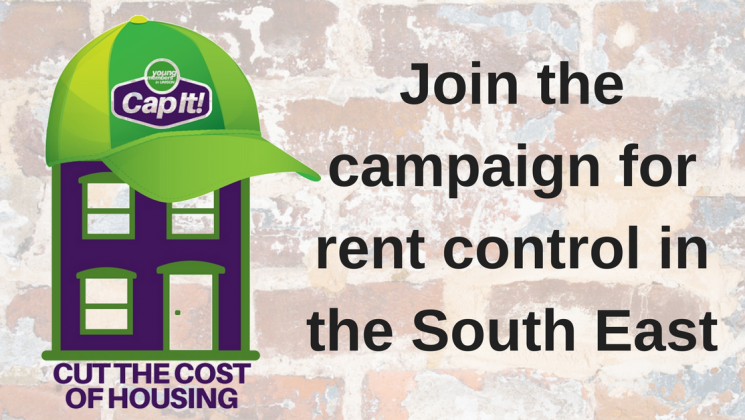 The South East Young Members’ Forum has launched a campaign aimed at persuading the government to introduce rent capping in the South East. The South East has the second highest median rents, where private rental properties cost an average of £852 per month. The median rental values in London and the South East have grown by nearly four times as much as the national average, at over 4% in the year 2015. While rent is rising at these levels, wages are not, creating property which is unaffordable to people in full time work, and affecting young people disproportionately. These statistics translate to people typically spending over half of their salaries on rent, with the problems escalating as the supply of properties simply fails to meet demands. In order to address these issues, it is imperative the government introduce regulations to control the cost of rent, and skew the balance of power away from landlords, and towards tenants. Rent Control: What, How & Why? Rent controls exist in many cities across the world. They may exist in different forms; primarily aiming to place a maximum cap on the price of rent, ensuring security of tenure and enforcing regulations for landlords. Such controls are prevalent in countries where rental is the primary type of residence, and the amount of homes being rented in the UK is rising significantly. In the past ten years, figures show that the percentage of properties being rented in London has exceeded 50%, and while the amount of people renting has risen steeply, so has the price of rent. London has the highest median rent in the UK, standing at £1,451 per month from the period May 2015 to 2016. The South East has the second highest median rents, where private rental properties cost an average of £852 per month. The median rental values in London and the South East have grown by nearly four times as much as the national average, at over 4% in the year 2015. While rent is rising at these levels, wages are not, creating property which is unaffordable to people in full time work, and affecting young people disproportionately. Rent controls are commonplace in Germany, particularly in Berlin where nearly 90% of people rent their properties. In many parts of Germany, it is illegal to charge more than 20% more for one property than another comparable property. The high proportion of people renting in Berlin suggests that the regulations prove broadly successful; tenants have a high sense of security in their tenancy, with comparatively spacious and well maintained properties and far fewer instances of multiple occupancy tenancy than we see in London. New York has one of the oldest established records of rent controls in the world, which have attracted both criticism and praise throughout history. While many economists hotly debate the long term implications of rent ceilings in New York, it is apparent that these properties have provided affordable accommodation for middle to low income families in the city. These are just two examples of the types of rent controls that exist, however there are many variations. For example, Canada has a 2.5% cap on the annual increase of rent, which if implemented in London would have had a distinct impact on the affordability of housing in the past year. Housing shortages lie at the heart of the problems of soaring rent prices, however where building development is failing to meet demand, measures need to be put in place to ensure affordable rental is available, and the exploitation of tenants is minimised. The implementation of these regulations will have social benefits as well as financial ones, with stability in tenancy offering a greater incentive to become involved in local communities and the upkeep of one’s own property. Many UNISON members in the South East, particularly our young members, are faced with the reality of having to spend the majority of their hard earned wages on rent, and in some cases having to commute long distances to work as they are unable to afford property nearby. At our 2016 young members’ weekend, it was acknowledged that housing was one of the greatest worries facing our members, and we urge the government to take action to make rent more affordable for hard working people.